SECURE YOUR SPOT FOR YOUR 2015 STUDIES, REGISTER NOW! One of the problems that matric graduates face is the limited spaces that are available at tertiary institutions. The other is that having been focused on their matric studies and exams, they may have missed application deadlines at the majority of tertiary institutions. While we advise young people to follow their passion in their careers, it becomes difficult if you cannot apply for studies towards that career! Limited spaces mean that for example, at three of Gauteng’s leading institutions only one in four applications will be accepted. 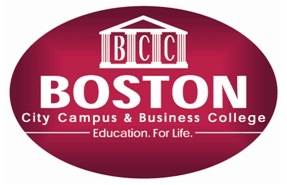 The good news is that registrations for diplomas and degrees at Boston City Campus & Business College are still open! What’s more, prospective students who apply and register before 15 December will have the added benefit of paying 2014 fees in 2015 – a significant fee saving. “Boston would like to encourage all students to visit their nearest Boston Campus. Those who are still uncertain about what they want to study should complete our Career Compass Assessment, a computerised assessment tool that clarifies your interests, passions and skills and identifies which career paths are best suited for you. Boston offers over 100 other dynamic course options. These degrees equip students with the knowledge, skills, and values for career opportunities in the fields of business, advertising, management and marketing. For those who wish to register, Boston Campus has a national footprint with over 40 branches and has a few campuses in each province. For more info please visit http://www.boston.co.za or call our head office on 011 551 2000.